Recoil pattern on this weapon is more predictably vertical. Fires quickly with high accuracy. Source: Complete strikes and earn rank-up packages from Commander Zavala. The resolute Commander Zavala advises and outfits Titans as their Vanguard. Please sign in with your Bungie account to add your review. Q: What does "random rolls" mean? A: This item is capable of rolling with random perks when it drops. For example, every time you get a Better Devils from Shaxx, it has the potential to be a slightly different version than others before it — maybe better, maybe worse. Q: Why are there some perks inside of a dashed box and some outside? A: The dashed boxes contain the perks that Bungie's API says are possibilities in each column when the item drops. Q: What about the stuff outside of those boxes? A: The perks outside of the boxes are a fixed, "curated" roll from Bungie. Sometimes, that fixed version of the item will drop fully masterworked (see Nation of Beasts or Vouchsafe for examples). Other times, those perks are just for display, such as when you preview an item from your collection. Q: Do the two sets of perks ever cross over? Can I get a Vouchsafe with double Dragonfly? A: If the item is capable of randomly rolling one of its fixed-roll perks, it will be included in the random rolls section as well. 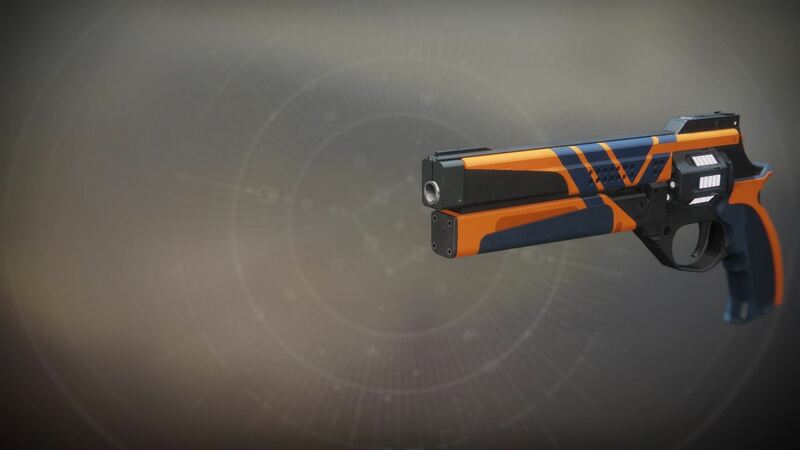 Q: What are masterwork rolls? A: Most legendary weapons are capable of being Masterworked. The masterwork system is a way for you to upgrade your favorite weapons to their maximum potential. Q: What does it take to upgrade a weapon to a masterwork? A: Upgrading your weapons, in broad terms, takes a small amount of glimmer, legendary shards, and, most importantly, Enhancement Cores. Depending on what Tier your weapon is at, the requirements to raise it to the next tier increase the closer the weapon is to being fully masterworked (Tier 10). Q: What benefits do I get for masterworking a weapon? A: Each tier that you increase your weapon will grant a small buff to a single stat, chosen randomly when the item drops. Beyond that, at Tier 5 you gain access to a kill tracker. At Tier 10, your multi-kills will generate orbs of light. Q: So what are these "masterwork roll" stats? A: These are the possible stats that upgrading your weapon will grant a bonus to. Depending on what tier you are at, you can grant anywhere from 1-10 additional points in any of the stats listed to your weapon. Q: Any catch with this? A: The Bungie API currently says that all weapons can potentially roll with all stats as their masterwork stat. This obviously isn't accurate, as Blast Radius isn't applicable to, say, Auto Rifles. The list you see on this page is trimmed to only show stats that actually appear on the weapon. However, it is possible that Bungie has additional logic behind the scenes that further filters these possibilities to, for example, prevent certain items from being able to have an Impact masterwork. Until Bungie modifies the API files to 100% accurately display which masterwork stats are possible on each item, take what you see here with a pinch of salt.